Nearly any major event—whether it’s a corporate party, birthday, club promotion, or private event—is better with entertainment. To ensure that your guests have a memorable time, there’s no better solution than to hire a DJ to provide the event music. DJ Roz is a Los Angeles-based event DJ known for producing a unique live set for every performance and an ability to read a room to deliver precisely the right tunes at the right time. 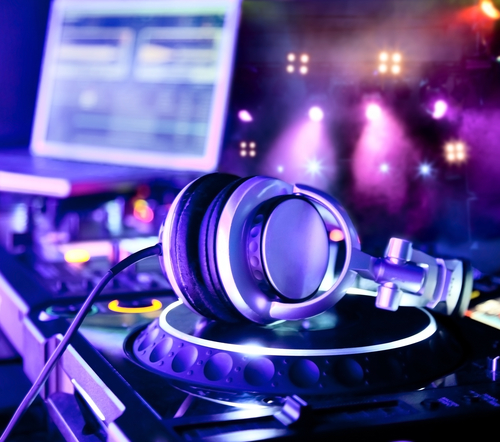 Below, DJ Roz highlights a few of the reasons hiring a DJ is the smart move for your event. In some cases, an event DJ may provide the sound and lighting systems as part of the contract, but even for those venues with built-in sound systems, a DJ is your best bet to make sure the sound board is run professionally. Talk to any prospective event DJ about the technical requirements for your event, and you’ll know the DJ has can make your program click. Technical assistance aside, the most obvious measure of any DJ is the music itself. Most modern DJs do more than simply spin records in sequence. DJs also carefully match beats and volume levels to create smooth, compelling transitions, and many even compose electronic music on the fly during a DJ set. This can give your event music the excitement of a live performance without the hassle of hiring and providing for a live band. While they may seem to exist inside their own headphones, successful event DJs have a practiced ability to make musical choices that fit the needs of your event at a given moment. An event DJ is typically a proven party starter and can bring a dour crowd up to maximum excitement with the musical selection. Hiring a professional event DJ can go a long way toward guaranteeing your event will be a success. And for many event planners in Los Angeles, DJ Roz has become a go-to performer. Visit DJ Roz’s website, or call (323) 716-2405 today! What Separates an Experienced DJ From an Amateur? Don’t Trust Your Laptop for Event Music—Hire a DJ!